The Derrick Team had another very busy year with over 6 million in sales again. Receiving our award for over 6 Million in sales in 2018. Once again The Derrick Team wants to thank all those we’ve helped over the years and have contributed to our ongoing success in real estate. We had over six million in closed and pending sales in 2018. As we move forward into our 10th year in real estate full time we’re at over $30 million in total sales in the past nine years. But in truth I will honestly say that money just pays the bills. What truly makes us successful is the enjoyment of helping our clients in all the trials and tribulations of selling and buying real estate. We succeed because we enjoy what we do and constantly strive to get better at each step of the process. The reward for us is when our client successfully walks out of closing with a big smile on their face and tells everyone they know about how great we helped them in the entire transaction. We love when they are more than happy to write up a review. But the best feeling is when they call and tell us they have someone who needs our help and they trust us enough to know we will take care of their friend as great as we took care of them. People in real estate, and even those just in sales jobs, know many people base their success in the ever quest for higher sales numbers. We on the other hand like to make a living (always those pesky bills showing up), but have found our calling in working for ourselves (real estate agents are independent contractors), and the rewards have shown up in ways we would have never dreamed. We love our job and enjoy working with our clients and often end up as friends afterwards. We want to make our clients, clients for life. Read what our clients are saying here! Below are all the homes we sold in 2018. In 2004 FEMA started to finally update flood maps do to the discovery of several areas not properly covered during previous years flood events. This is an ongoing process and in some cases homeowners are not aware their home has been designated a high flood risk area and may require flood insurance. The process is not very scientific and mistakes are made. Any time you have a mortgage on property in a SFHA (Special Flood Hazard Area), the lender will usually require you have flood insurance, which can be pricey. The issue is that you may not even realized it until you go to sell your house. You get a buyer and all the sudden the buyer walks because he was told he needs flood insurance by his lender. We just had this come up with one our listings and the seller found out from a neighbor who just sold their house that the whole street end overlooking a small creek was now in a SFHA. Of course they look down the hill at the creek, so flooding has never been and issue. But now they will have to address it due to disclosure laws. You might want to do a quick check if you have any doubts on FEMA’s web site here. Oh oh! Found out the bad news? Now you can try and get a Letter of Map Amendment (LOMA) that exempts your property. But guess what, you are going to have to pay for it. More details here on FEMA’s site. Not all homes will be able to get one so you’ll be stuck with the higher rates. Best not wait till it’s time to sell your home. Just the insurance costs will deter some buyers, not the mention that they may think you’ve had flooding problems before. Sometimes the random power of the government will bite you when you least expect it. The Federal Government has continued to extended the subsidy on flood insurance for a few more years but plans to slowly implement increases. You might want to check this out while you still have time if your home is anywhere near a creek or major drainage ditch. And be sure and check any property before your purchase so you won’t have any surprises later. It’s easy to forget when you are spending a lot of money on a house that you are buying a USED home (unless you happen to be building a new one). And often it is at least several years old, if not a few decades or more. When we first talk to buyers we find out how comfortable they are with home maintenance which can dictate how old of a home they might be comfortable with. But truth is a lot of older homes are better built than some of the newer styles. But that’s another whole blog post so we won’t go over that here. But the real key is that when you’ve successfully worked out the Purchase Agreement (PA) with the seller, you’ll want to pay and professional inspector to carefully go over the home to point out any flaws or defects the home has that aren’t readily apparent. Inspection of the furnace /AC and water heater is very important! As you are looking at homes with your real estate agent you can usually note the basic conditions that tell you what might be needed. Because we’ve talked to our clients before showing them homes we’ll point out things and ask if they are comfortable taking care of that after the sale. For example, many homes will need some painting of some sort, and most our clients will be OK with that since they might want to change the colors anyway. But for holes in the walls or cracks in the ceiling it might depend on how handy our client is as to if that makes them move on to the next home. The reason we point this out is these are the items in the homes condition that are readily apparent and are “known issues” at the time you write the purchase agreement. So you factor those items into what you are willing to pay for the home. We help guide our clients on what their costs may be in addressing these issues. The inspection after the PA is accepted by both parties is to look for the “unknown issues”. A good inspector will help educate you about the home you are about to purchase going over items like the furnace operation, water shut offs, etc. That’s why it’s important to be there why the inspector is doing the inspection. Unlike many agents we try to be there for all our buyer’s inspections. (sellers should leave during inspections). Inspectors will ALWAYS find something wrong, it’s their job. And remember these are USED homes. The age of the home will also determine how to look at issues as building codes have changed over the years so what’s OK in a 50-year-old home may not be for a home only 10 years old. What I like to point out is there will be a list of items the inspector finds on every home as no home is perfect. So as either a buyer or seller, don’t freak out when you see the list. That’s why we like to be there so we can mention this or that is a common problem found in most homes. Having attended many inspections, we’ve listed below many of the common items found at inspections, even in homes less than 10 years old. For a buyer don’t be surprised at the list and as a seller look this list over to see if you can address some of these items before you put your home on the market. These are just some of the more common items that are found in just about every home. If you inspected your current home today many of these items would probably show up. The main thing to keep in mind is you are not buying a perfect home (inspectors will also find problems with brand new builds). Use the inspection report to address items that relate to safety, security, and structural conditions. That’s what we are there to help you with as you go through what some might call the ‘scary’ home inspection. It’s usually something that all parties can negotiate items to be addressed and it’s very rare that a buyer has to move on to another home. Having a good REALTOR will help you make your deal work out, as either a buyer or seller. 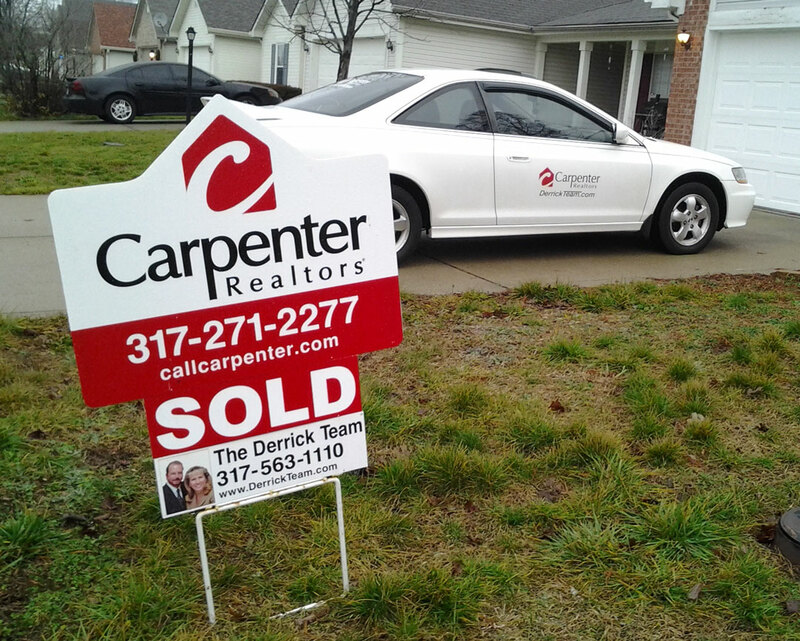 Contact The Derrick Team today at 317-563-1110 with any questions on buying or selling real estate. We work 7 days a week, evenings too! If you are looking to buy a home in the near future, you will find you’re a up for a challenge here in central Indiana. The past 2 years we have seen the strongest ‘Sellers’ Market’ in years. What does that mean to you? Basically, there or more buyers than there are homes for sale. So, sellers have the upper hand as in most cases if priced right, homes sell in less than a day, often with multiple offers. As a buyer, that is what you are up against, several other buyers whom are looking to buy the same home you want. Listings are down, sales are up = Sellers Market! What’s a buyer to do? Well first you must make sure you have an experienced agent representing you. The key in a multiple offer situation is making sure and writing a ‘strong’ & ‘clean’ offer. The ‘strong’ part is having your financing well in hand with a good prequalification letter from your lender. The ‘clean’ part is limiting the contingencies in the contract and understanding that the seller is going to be mostly interested in their ‘net’. There are a few tricks to make sure that’s how your offer works out and that’s what The Derrick Team is good at. Last year all our buyers were able to purchase homes they loved in this competitive market. And what’s a seller to do that wants to buy after they sell their current home? Well that can get a bit tricky but there are some options. First if you have enough equity in your current home and great credit some lenders offer what amounts to a ‘bridge’ loan. There are different names for this but basically you use the equity to get a loan to purchase a home first, then sell your home after you move out and use those proceeds to then get a permanent mortgage on your new home. The advantage is you don’t have to scramble to find a home when your current home sells in one day. If that isn’t an option, we always recommend a ‘plan b’ for our sellers. Find some sort of temporary housing arraignment after you close on your current home, such as short-term rentals or staying with friends or family. The idea is if you cannot find a home quickly after the sale of your home you don’t want to have to rush buying your next home and maybe settle for something that you’ll regret later. We did have sellers that managed to find a home and close on both the current and new homes at the same time last year, but it’s difficult to do in this market. Just getting ready to sell or buy? Feel free to call The Derrick Team for a no obligation meeting to go over your options in today’s challenging market at 317-563-1110. As listing agents, we sometimes find that sellers don’t understand their responsibilities with a home they are selling and it’s condition. So I’ll explain some of the things we’ve seen with homes we’ve listed for clients and the best approach in dealing with them. I think everyone can agree that the condition of a home greatly affects the sale price and how quickly it sells. A home that has been well maintained, no matter the age, will sell far more quickly and for a higher price range than average similar homes that are in the area. So as a realtor when we come to do our Comparative Market Analysis (CMA) on a home, we look closely on the homes’ condition compared to other homes to set the possible sale price (as an appraiser will do). Updates on older homes will also be a factor but that has been covered in other posts, so we’ll focus on condition for now. Some of the major items we consider will always be age of the roof, windows, and mechanical systems such as furnace, A/C, & water heater. Normally this is usually pretty easy to establish either from visual inspection or repair invoices from the owner. But there is a lot in a home that is hidden inside walls, attics, basements, and crawlspaces that no one can really be sure of other than the homeowner, and in many cases they often will not know either. Every time we talk to a homeowner with a crawl space I ask if they have been in there within the past 6 months or so. The reason is this is one of the most common, expensive, hidden defects we run into on a regular basis. Water penetration is a bad thing for a home, and in a dark damp crawl space it’s the worst. Leaking pipes, water coming in around the foundation, and in heavy rains a raised water table can all leave standing water and high humidity. What you end up with is the 4-letter word we hate: Mold. Recently an inspection found a leaky master bath shower drain that apparently had been that way for months. What was a $200-$300 plumbing repair became a $3400 mold remediation. Another one was so bad the water from clogged gutters, poor drainage, and a nonfunctional sump pump had damaged some of the foundation, which resulted in a $10,000 foundation repair along with a $4800 mold remediation. Attic spaces are not immune to similar issues. For years it was common practice to vent bathrooms & kitchen fans directly to the attic. Add to that attics also are often not properly vented so again you get an attic full of mold and a rather expensive mold remediation. A few years back on a fairly new custom built home mold was found in a section of the attic that was not vented at all. In another case the roof was in pretty good shape but due to poor ventilation the underneath decking had rotted. Other expensive hidden items that have turned up include fireplaces with major issues, older or improperly installed electrical wiring, major termite damage, and damaged foundations. 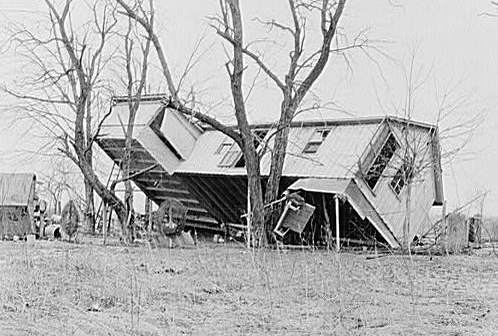 The seller is ultimately responsible for the condition of the home, whether the conditions were known or not. The visible condition is only part of this responsibility. As a seller you must understand that hidden conditions and/or undisclosed conditions can lead to lawsuits if found after the sale of the home. So it’s always best for all parties to be up front it dealing with items found during the inspection and repairs. How does a seller avoid the surprise costs? Not everyone agrees on the best approach, but we always will ask about maintenance items before listing the home. If seller knows of anything with issues, we advise to have them repaired first. Otherwise they must be disclosed up front. One option if the seller is not sure on their homes condition is to pay for a pre-listing inspection. But anything found must be addressed or disclosed. In other cases where someone is selling a home they have not lived in, inherited, or know nothing about, the home can be listed ‘As Is’ and priced accordingly. But even then major items in the inspection can kill the deal if the buyer walks. The safest way to avoid the high dollar repair costs when selling your home: take good care of it while you live there. A well maintained home has the highest dollar for dollar payback on one of your most expensive investments. If you have any questions on selling your home don’t hesitate to contact us at 317-563-1110 or via our web site www.DerrickTeam.com. We’ll be happy to come look at your home with no obligations to hire us. We’re here to help you today, tomorrow, or anytime down the road. recommend us to their neighbors! All these homes are just some of the listings we sold in the past 2 years. See the complete list here. Our clients on Burnett Blvd met us at an open house on Westover and hired us on the spot! Their home sold in one day! Our client at 2263 heard only great things about us from our clients at 2269 and hired us to sell her home. Both homes sold in one day! We met our clients at 913 at an open house and they hired us to list and find them a new home. Our client at 912 found out about us and hired us to sell his home too. we made it active Jan 2nd and had accepted offer on Jan 3rd! We sold 7268 Woodside Dr and 2 months later their neighbors at 7276 Woodside Dr called us and we sold their home too! Did The Derrick Team sell a home in your neighborhood? Talk to that neighbor and you’ll find they’ll be happy, because that’s what we do. Call or text us today at 317-563-1110. We’ll be glad to come talk to you with no obligations! You’ll be glad you did. Buyers today will typically have the home they purchase inspected by a licensed home inspector. Acting as buyer agents we always will insist they do as they are buying a ‘used’ home and not everyone takes care of their home the same. And even a well-maintained home may have defects that the seller was not aware of. A new roof can be an expensive surprise. As the seller, you should expect this as part of the sales process. Even if you are selling ‘as-is’ a buyer will most likely do an inspection just to make sure they don’t get any surprises. They buyer hires and pays for this inspection so the inspector will be working for the buyer. With that in mind they will almost always find something wrong. The buyer will then present you with a Buyers Inspection Response that lists items they want repaired before they will close on the sale. First, here are things expected of the seller for the inspection, which can take anywhere from 45 minutes to several hours. As a common courtesy, the seller should vacate the home during the inspection. Pets should be removed or crated during this time. If you cannot leave for some reason at least leave the inspector and buyers alone so they have some privacy. The inspector needs to be able to discuss items freely with the buyer. Access to the mechanicals, such as the furnace / AC, water heater, etc. is necessary for the inspector to check them out. Move boxes, items, etc away so they can remove the panel on the air handler unit. Any access to the attic areas or crawl spaces must be clear of all items. Cars parked in a garage can keep them from attic entry if that’s where the opening is. Locks on crawl space entry must be removed or a key left behind. Any electrical panel should not be blocked or hidden. If there is a picture hanging over it remove it. The inspector will need to pull the cover off to check the wiring. Any outbuilding, detached garage, etc should be unlocked or key left in home so inspector can enter. Second, here are some things the seller can do to help prepare for an inspection. We usually suggest or sellers have the furnace / AC serviced when they list their home unless they’ve already done so recently. That way there are no surprises and inspectors will always point out serviced systems. If the home has a crawl space peek in there or hire someone to check it out before listing. This is where some of the most expensive repairs come from. Often from a non-working sump pump that leads to water damage and mold. If the roof is more than 10 years old or age is unknown, have a roofing contractor inspect the roof for damage before listing your home. This gives you time to get quotes and check for insurance coverage way before the inspector finds and reports the issue. This also is often an issue with appraisers and having the roof replaced can be a condition on the sale of the home. If you or a ‘buddy’ have done electrical work or you are aware of some electrical items that just don’t work correctly, it would be a good idea to have an electrician come inspect and repair any of these items. These often show up in inspection reports. Leaking pipes, call a plumber. It’s often not just repairing the pipes but repairing water damage that can run up the costs on inspection repairs. If you have a wood burning fireplace, it’s best to have it inspected and cleaned by a chimney sweep. If there are any major items you are aware of but don’t want to fix, get quotes beforehand. It helps with negotiations when you have a quote on the repair costs ahead of time. Keep in mind the Buyer’s Inspection Response is a negotiation and not necessarily a demand. But the items listed above are generally items that should be addressed, as nobody wants a leaky roof, electrical or plumbing issue, water or mold issue, or a furnace that breaks down the first time it gets cold. We generally say look at the items you would want fixed if you continued to live in the home and work from there. In some cases it can be negotiated as rather than making repairs the seller adjusts the selling price in compensation to the buyer. As both buyer and listing agents we’ve see it all. For question on home inspections, selling, or buying a home feel free to call or text The Derrick Team at 317-563-1110. We work 7 days a week including weekends and evenings. Think of this technology in terms of the Google ‘streetview’ where you can walk around with your browser and see the views captured from Google’s streetview recordings from their vehicles. In this case the same technology is used to capture the interior view of a home. When you connect via the link you have the option to view via a ‘dollhouse’ or ‘floorplan’ display which you then click on a spot to be whisked into that area of the home. As you move about the home you can pan around as if you were standing in the room itself. There isn’t a better way to view without actually standing in the home. As so many buyers first shop via the Internet, this is a tremendous tool for the difficult to photograph large homes. This is especially handy for buyers moving from another distant location. We think you’ll be as amazed as we were when we first saw the potential. Call or text The Derrick Team on this or any other questions you have on how we go ‘Above & Beyond’ to market your home. 317-563-1110. Something a lot of people don’t understand: Every dollar you spend on your home will not increase the value of the home by the same amount. It’s known as the Return On Investment (ROI). So here are four examples that you would not gain much value if you added them to your home. 1. In areas where they cannot be used year around, swimming pools don’t add much if any value, and to some buyers will only looked at as an expense they are not interested in. Do not install a pool as an investment. Only do so for your personal use and understand the issues when you go to sell. 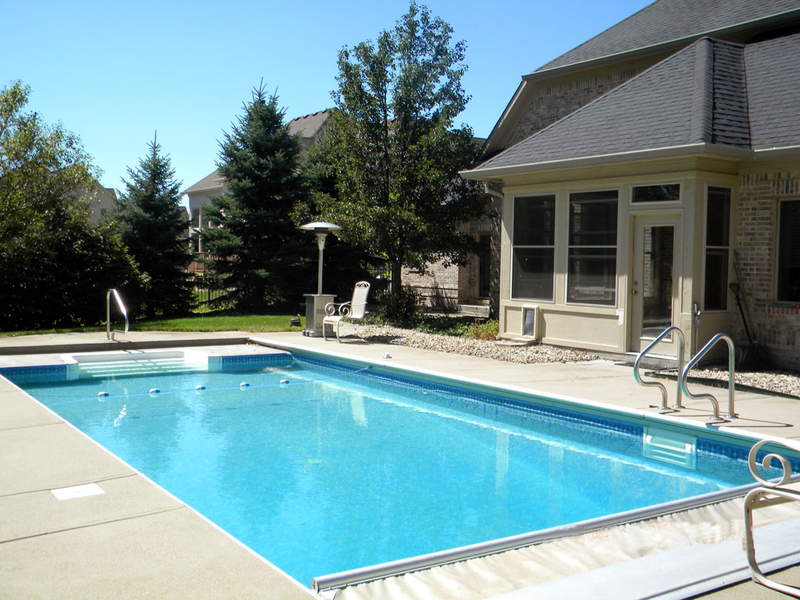 The only exceptions are in the warmer climates and upscale neighborhoods where many homes have pools. If it’s an above ground pool, you might consider removing it when you go to list your home (or at least offer to do so at your expense if potential buyers don’t want it). 2. Any improvements that bump your home in value that exceeds the neighborhood around you. 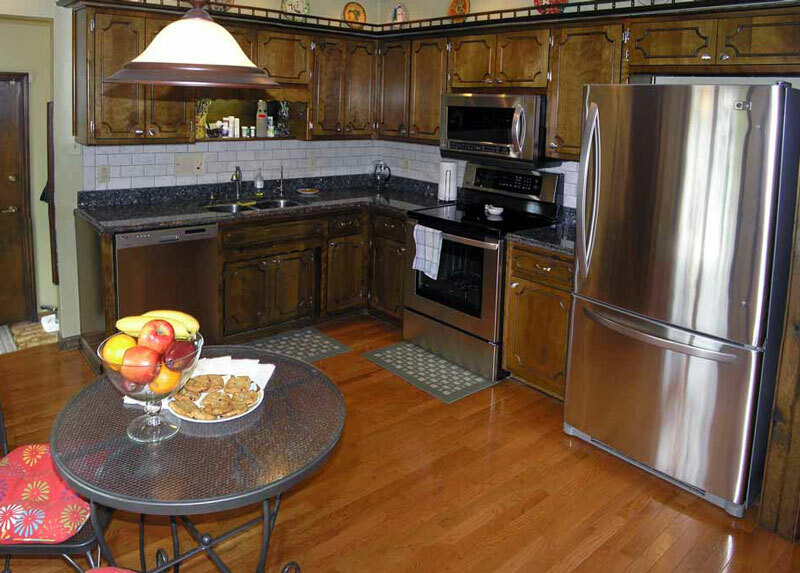 Prime example would be a complete kitchen redo with expensive tile floors, granite counters, & custom cabinets where the other area homes are vinyl floors and Formica counters with stock cabinets. While you’ll be the best showing home in the area, your ROI will be much lower than just a standard update that matches surrounding homes. 3. Large investments in rooms that may not be common in your neighborhood such as converting an attached garage to a family room or fancy entertainment center in the basement. If you eliminate a garage, be sure your parking area matches area homes. If most homes have garages you’ve not gained much by the extra room. And for adding value to your home a fancy basement doesn’t add much more value than just a plain finished basement. Your ROI will again not amount to much. 4. Any project that you borrow a lot of money to complete. That loan will come off the proceeds right after your mortgage and thus reduce your net considerably while again not adding dollar for dollar increase in value. 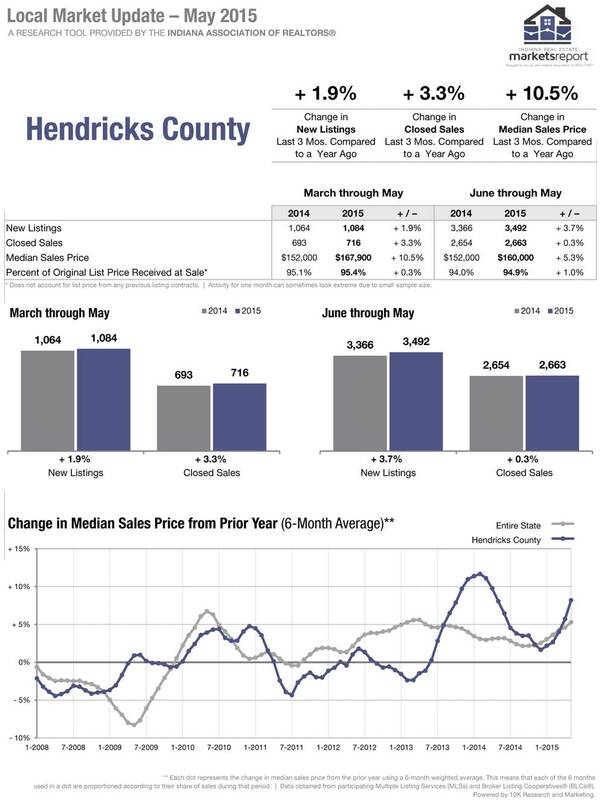 The best advice we can give you is before you invest a lot of money in your home with the idea of selling in the next few years, call The Derrick Team at 317-563-1110. We’ll be happy to do area comps to give you a rough idea on your possible ROI. We’ll be happy to offer advice on some simple low dollar projects that will help you in the long run. When you go to sell your home, this phrase is a good summary to set the stage on today’s market so I’ll define it here in a little more detail. This is pretty self-explanatory but holds even more weight today. When we do a Comparative Market Analysis of a home we tell the seller the low range of prices is what you have to be at to win the Price War. Not usually a thing easy for them to accept, but to sell quickly you have to be the best deal around. The good news is that home values are creeping back up. But sellers who insist they want top dollar often will find their neighbors are selling much quicker because their high price makes the neighbors home look like a better deal. In other words you want a neighbor who lists at a higher price so you can easily win the Price War. Now we move into the subject that not everyone understands. Today’s buyers are much more demanding on what they want their home to look like. It used to be “Move in ready” if the home had fresh paint, clean carpet and/or great flooring. Now we have to deal with the HGTV syndrome. Buyers want updates, whatever is the trend at that moment. Nickel finish fixtures, stainless steel appliances, hardwood floors, it’s a long list that comes from home improvement shows on HGTV and home centers playing along by pushing these items in ads. We like to refer to this look as being the ‘Shiny Penny’ that catches the buyers attention. While some buyers know to look beyond these items and think bigger such as home location, floor plan, local area, etc, the eye candy listed above from the HGTV syndrome is what impresses most. So in todays market it not just neat and clean to win the Beauty Contest, its show me the wow factor when I look at your home. So if you cannot win the Beauty Contest, you’d better win the Price War. If you’re not in a position to win with the Price War, you’d better be first prize in the Beauty Contest. If you want to sell your home really fast, be ready to win both! Want to know where you stand? Give us a call or text at 317-563-1110 or shoot us an email and we’ll do a free CMA and tour your home to give you ideas on what’s worth updating to win both contests. 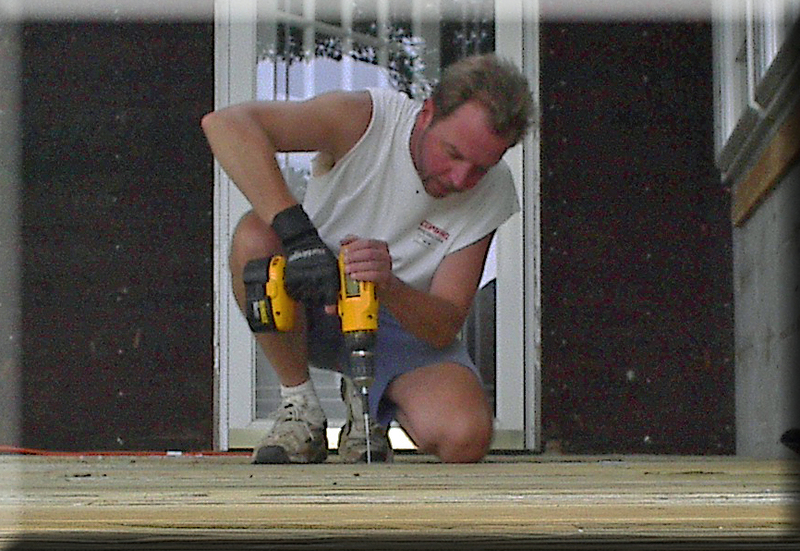 That’s me, working on our home. First time home buyers are always fun to work with because of the excitement they bring to the process (along with some anxiety). First timers have made that commitment to own their own home because they have been paying rent, sometimes for years and have nothing to show for it but an empty bank account. This article is for those first timers and those considering their first home purchase. It’s also a general summary of the responsibilities that come with owning your home and most importantly taking care of your investment. First and foremost is of course the financial aspect of making payments as almost all first timers must get a mortgage to cover some part of their purchase. There is also the need for insurance and we cannot forget that the government will take some of your money in property taxes. But most of this is explained up front during the discussions on financing and the purchase itself. I want to discuss the after the sale responsibilities of maintenance. All home owners should understand the value of proper maintenance of your home. It’s an investment and you probably expect to sell it someday and at the very least get some of your money back that you’ve paid into it. And when you do indeed decide it’s time to sell, proper maintenance or lack of it will have a big impact on how much return you get on your home investment. Let’s start with the basics, regular maintenance such as lawn care. Don’t just mow the lawn but maintain the trees, bushes, and general landscaping to keep the yard looking neat. Go ahead and plant flowerbeds and install attractive lawn decorations but don’t overdo it and make the yard look like a flea market for landscaping. It’s also important to keep up your home appearance for the sake of your neighbors who are selling. Remember the more they get for their home when they sell also increases the value of your home. Plus it’s just a good idea to keep your neighbors happy. Maintaining the home’s exterior is probably one of the most important as water intrusion will destroy not just the outside but the interior as well. Keep the gutters clean and make sure the downspouts carry the water away from your foundation, the further the better. Make sure your roof is in tip top shape and if you don’t know what to look for have it inspected by a roofing contractor on a regular basis. Replace loose or missing siding or any of the exterior cladding on your home as soon as you see it. Waiting to do repairs on the exterior is inviting much more damage to the homes entire structure and will cost much more in repairs in the long run. Next on the list would be your mechanical systems which typically consists of your heating / cooling system, water system (plumbing, water heater and possibly a well & septic system), and electrical. All these often need some regular maintenance, especially the heating / cooling system so be sure and become familiar with the systems in your home and follow recommended guidelines. Again, regular maintenance can save you money by extending the lifetime of these systems and avoiding major repairs from ignored minor issues. You should also pay attention to your interior structure such as walls, ceilings and flooring. Much of what needs attention here will be from normal wear and tear but keeping things clean regularly helps in the long run. Allowing items to get really dirty ruins the finish and you’ll find in order to make it look good enough to sell you’ll have to replace it completely, and those costs take away from your bottom line. This is just a few basics items of what you need to take care of to maintain your home. Each home has different priorities to the maintenance schedule such as type of building materials, type of heating system, etc. But regular maintenance can make your return on investment when it’s time to sell well worth it. We’ve seen a lot of owners take a lot less for their home because of the poor condition it was in due to the lack of maintenance. Keeping your home in great condition makes financial sense but it’s also nice to live in a well maintained home so do it for yourself and your family’s health and well-being as well. And again, a neighborhood of well-maintained homes brings everyone’s homes value up when it’s time to sell and makes for happy neighbors. If you have questions on your homes’ condition in preparation to sell feel free to call or text The Derrick Team at 317-563-1110, even it’s a few years away. We’ll be happy to come out and take a look and let you know what you might need to address at no obligation. It’s what we love to do, help people with home ownership! How’s The Real Estate Business These Days? While spring is the traditional busy season the weather has turned warm during this unusually wet start to summer and the real estate market barely slowed down. Normally we’ve seen summer slowdowns after schools let out and families go on vacation. But this year while not as crazy as this past spring we’ve been busy selling houses on into July, the time of year I usually plan projects around the house. The biggest problem we’ve been having and other realtors concur, we cannot get enough regular listings ($100-$250K single family homes). That particular part of the market is the hottest and homes sell quickly in that range. Reading reports (links below) will confirm what we’ve seen but in general I think a lot has to do with the continuing lower interest rates that we thought would be climbing higher by now. When the Feds continue to say they will start raising them soon that adds to the urgency. So for now its go, go, go. If you are even slightly thinking of selling, give us a call and we can help you decide if now is the right time for you to sell. Call The Derrick Team today at 317-563-1110! There are many different reasons buyers are out looking at homes. Normally when working with a buyer an agent tries to determine a buyer’s motivation before they start showing them homes. But some agents will just about show houses to anybody who asks (eventually they realize their wasting time, but that’s another blog post). For the most part the buyers out looking are at least thinking about moving or buying a home when they go out looking. We’ll break down the different motivations in this article. You know the saying about car shoppers and the same can be said for home shoppers with a low motivation. They’re just looking at homes thinking about moving. Maybe their thinking their current home is too small (or too large), and want to see what’s out there for a price they can afford. They are working with agents they know and are willing to show them homes because of previous dealings. We have clients like this and we know eventually they will find a home that motivates them. But it can take months, if not years before they purchase a new home. First Time Home Buyers usually have a higher motivation than Tire Kickers, but often not much higher. They’ve been thinking about buying a home for a couple of months (or years) but are usually renting and don’t have an immediate reason to move. Their motivation can pick up a level or two if they have a lease coming up and have to move by a certain deadline. Let’s just say their motivation varies, depending on the weather. A current homeowner that has a more immediate need can have a much higher level of motivation due to a baby (or two) on the way and they are running out of room in their current house. They are working with an agent who has listed their home and hope to find one to make an offer on as soon as they get an accepted offer on theirs. Their motivation becomes very high when they have that accepted offer. This applies to a homeowner like above who for whatever reason is moving and has just sold their home. The motivation factor is very high in this case. This is where you might get above list offers if they really like a home. Depending on the timeline (as in just started or already changed jobs) these home buyers are motivated or very motivated. Sometimes they will just buy a home that works and plan to move in a few years once they know they are staying in the area. Highly motivated buyers in this category might make above list price offers as well. Never in a hurry until they find a good deal. Usually a low cash offer but sometimes will pay good price on a nice home with good income potential whether flipping or renting. The reason sellers need to know all this is there is a wide range of motivation in the buyers looking at your home. So what you need to do is make your home stand out so you impress all buyers that look at your home. This is what we refer to as being the ‘Shiny Penny’. All buyers will gravitate to the ‘Shiny Penny’ and you’ll get more and better quality offers if you make sure your home stands out. Want to make your home a ‘Shiny Penny’ when you’re ready to sell? Call or text The Derrick Team at 317-563-1110 and we’ll come talk to you about what you need to do to your home with no obligation to hire us when you’re ready to sell. We like to help home buyers and sellers with all their real estate needs.